I’ve always been a secret admirer rather than a disciple of the possibility of the interconnectedness of things, a rather rosily anthropic, post – Jungian view of the world; if there is no ‘we’ which transcends space and time then, why not? The Universe seems to suggest that there ought to be. 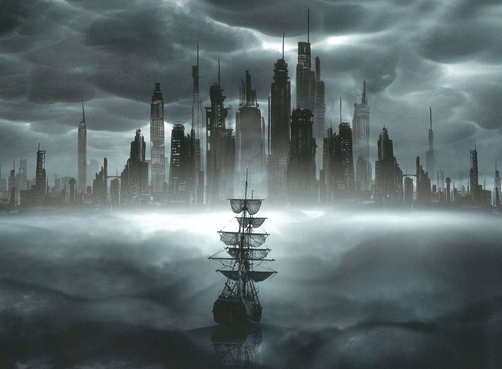 Looking at reviews for Cloud Atlas before having actually seen it, I might have been convinced that the creators of The Matrix’s sprawlingly ambitious epic from the allegedly unfilmable 2004 book is either a masterpiece or a disaster. It’s a bit – no, a lot – long and the six-part ramble where characters reappear as someone else separated by centuries, popping up like hares in a meadow makes it difficult to emotionally connect with the material. And yet, almost because of, not in spite of, the effort required to engage with it, I found myself being forced to commit to following a series of unlikely and ultimately mostly tragic storylines. I have to admit to having read the book first, so basically got the idea of the connections it was supposed to be making; the reappearance of the same people in vastly different guises over a span of hundreds of years. These came across as quite weighty in the book, but much too subtle and tenuous for a shortspan moviegoer who might well have been put off by the undoubtedly excessive use of latex to have you asking, just for a second “is that…?”. I would not go so far as to suggest that it in any way led me to transcendence, but there was more than a little aftertaste of possibility which will stay with me. I was persuaded on the back of rave reviews to shell out eleven euros to go and see Frances Ha.Frances is a showcase for the nearly haves-have-nots, played with comedic awkwardness, whimsy and optimism with brief nods to Woody Allen’s Jewish Brooklyn and French New Wave in altogether appropriate black and white. She lives in New York, but doesn’t have an apartment, she’s almost a dancer, but hasn’t quite got a job, she has a best friend from Vassar days who isn’t actually speaking to her, she’s a clumsy little Bridget Jones, living with dashed hopes and unfulfilled dreams which change with almost metronomic regularity – how could one girl be so spectacularly and repeatedly unlucky. She’s puppyish, hopeless and almost promising; she won me over, but it took an exasperatingly long time to do so. I think I might be too old for Noah Baumbach’s brand of self-indulgent indie output which masquerades as honesty. 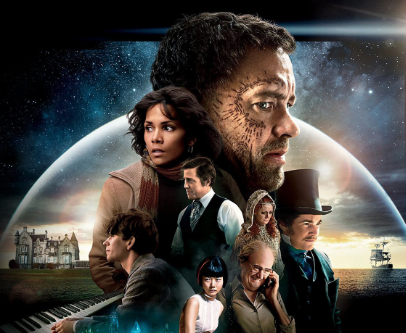 In its defence it cost a whole lot less to make than ‘Cloud Atlas’ and was cinematographically superior, without a hint of latex. One, the other or neither? I really can’t make up my mind.